Trying to find parts for your marine Twin Disc engine can be challenging and time-consuming, but Diesel Pro Power makes this a simple and fast process. We carry all of the related replacement parts that you need for your Twin Disc MG502, and our website makes it easy for you to find all of the parts you need. You may need to replace a single part that has worn out on your engine, or you may be trying to rebuild your engine. 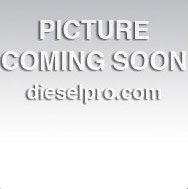 As the largest online supplier of Detroit Diesel parts, you can rest assured that we have the replacement parts you need, and we always try to keep our engine parts in stock and ready to ship out to you. In fact, we can process your order and have it on its way to you within 24 hours. When you are looking for Twin Disc MG 502 marine transmission parts or other related parts, you simply have to visit our website today to search for the components you need. 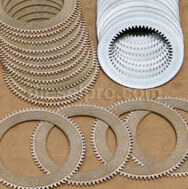 You can click on an icon for a specific type of part, such as a strainer, an overhaul plate kit, seals or other items. 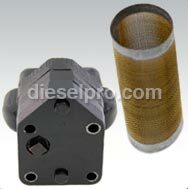 You can also search for the specific part that you need by part number. 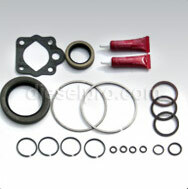 There is no need to attempt to track down the part in a local store or to deal with an issue of back ordered parts. When you place your order for your Detroit Diesel engines parts and components online through our website, you can rest assured that you will soon have the parts that you need in your hand and ready to use. Our parts can be installed by you with a do-it-yourself project, or you can hand them to your mechanic to use with repair services. When you are shopping for Twin Disc MG502 marine transmissions parts or other components, put our website to work for you.